These enchanting locations can fill us with inspiration and wonder, but what forces could have created such beauty? Science can reveal some of the secrets, but in times past, humans told stories of gods and mythical creatures that roamed the earth, carving and creating some our most spectacular wonders. Here we look at the legends behind them. These rock formations have made Cappadocia one of the most popular destinations in Turkey. 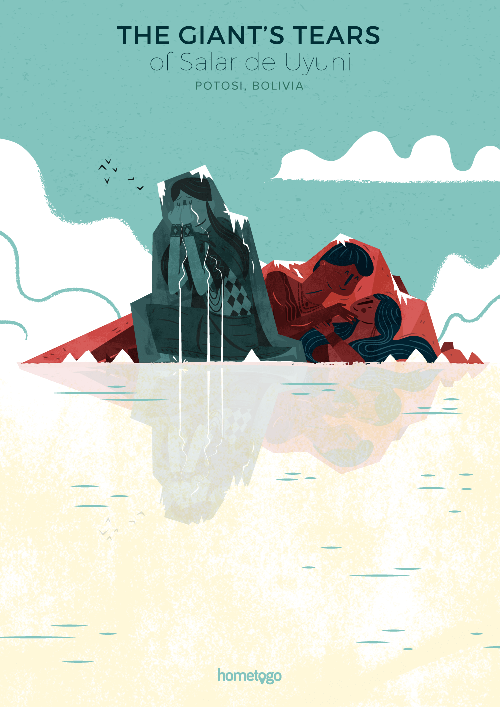 The surreal land wouldn’t look out of place in Star Wars or Game Of Thrones. The spiraling stone formations rise like mushrooms out of the earth and magically change color with every sunset. Early inhabitants believed that the chimneys were built by fairies who lived underground. The other-wordly dragon’s blood trees are native to the Socotra Archipelago in Yemen. They stand around fifteen feet tall, with tangled networks of branches and spiky green leaves. Legend has it that the first dragon’s blood tree was created from the blood of a wounded dragon after it battled a brave elephant. 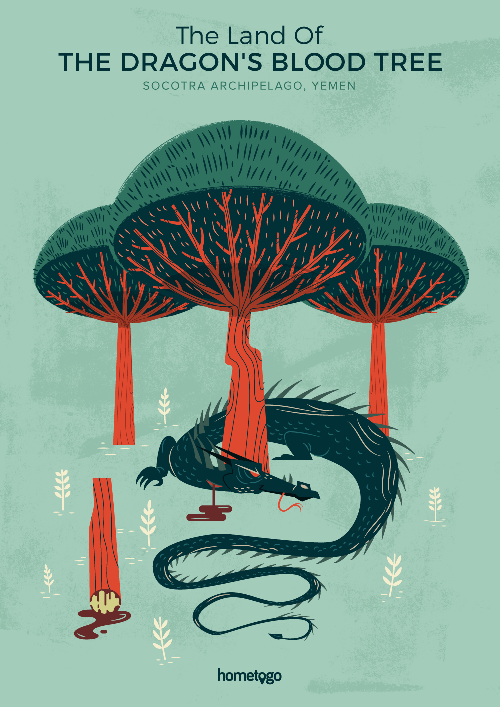 The tree bleeds the dragon’s blood, which locals used as medicine to heal their ills. Arriving at The Giant’s Causeway in County Antrim of Northern Ireland is like landing on another planet. 40,000 massive columns rise out of the sea like stone pieces in a jigsaw puzzle. 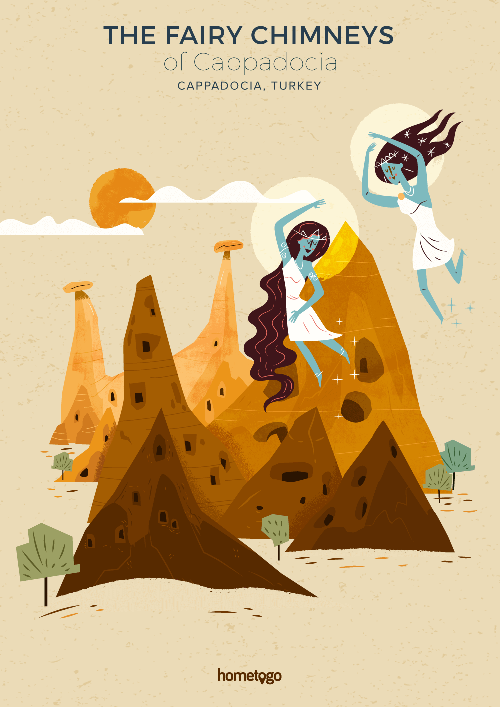 This lunar landscape was said to be caused by two fighting giants, Finn and Benandonner. When Benandonner threatened Ireland, an enraged Finn grabbed chunks of the coast and threw them into the sea. 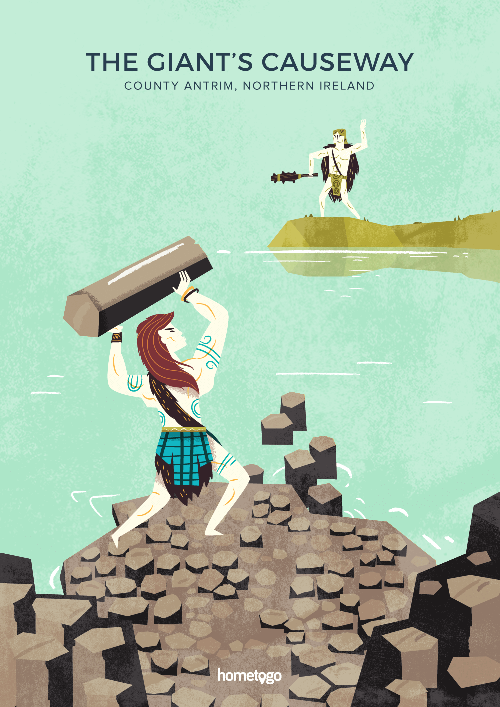 The rocks created the causeway across the North Channel, enabling the two giants to meet and sort out their problems. Overlooking a tranquil, sage-covered plain on a small mountain range in Colorado, The Sleeping Ute lies peacefully on his back with his arms crossed across his chest. 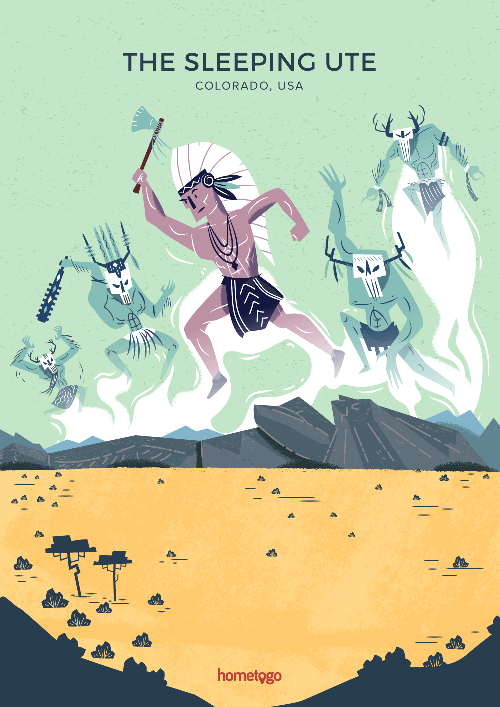 The legend tells the story of the Great Warrior God wounded whilst battling evil. The battle left him wounded, and he fell into a deep recuperating sleep. His bleeding wounds became rivers, and rain clouds formed from his pockets. Sitting within 300-foot- tall cliffs, Asbyrgi Canyon is a spectacular horseshoe-shaped rock formation and one of the most magical locations in Iceland. Legend says it was created by the horse of a Norse God. 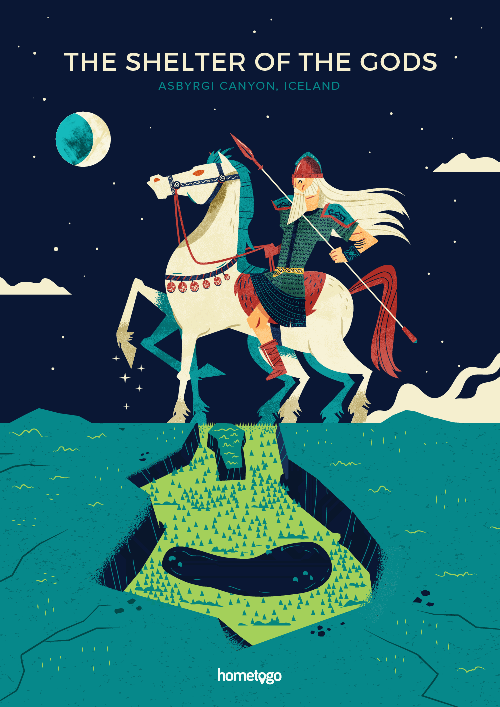 When the hoof of Sleipnir, Odin´s eight-legged horse touched down on the earth, it flattened this area, just over two miles long and more than a half mile wide. The Moeraki Boulders lie on the North Otago coast in New Zealand. Often mistaken for dinosaur eggs or crashed alien ships, the mysterious stones weigh several tons and measure up to three meters in diameter. The Maori legend goes that the Kähui Tipua people sailed out to find kumara sweet potato plants, but a storm engulfed them, leaving them shipwrecked. 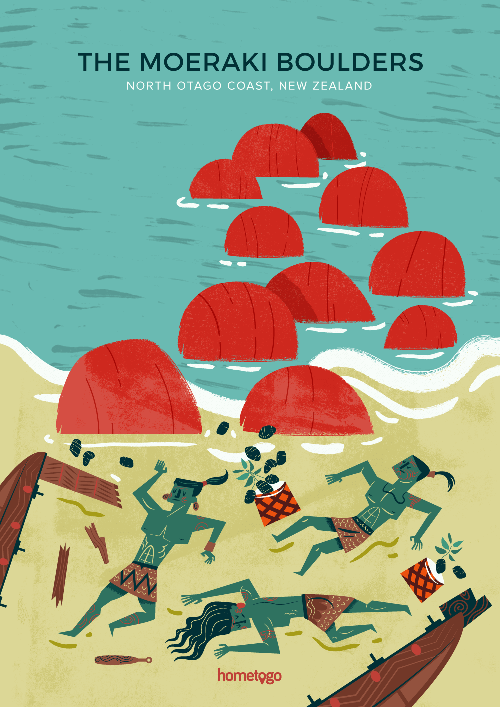 The baskets and gourds that transported the goods were washed ashore and forever preserved. Salar de Uyuni in Potosi, Bolivia is one of the most remarkable sights in the world. This wonder covers more than 4,050 square miles and is the world’s largest salt flat. Legend has it that the mountains surrounding the area, named Kusina, Kusku, and Tunupa, were once three giants stuck in a messy love triangle. When Kusku left his wife Tunupa for Kusina, Tunupa cried a lake’s worth of tears, which dried and created these moon-like salt flats. The legends may be mythical but the magic of these locations is very real. Now that you know the stories, why not explore the wonders for yourself and walk in the footsteps of giants, fairies and other legendary beings?